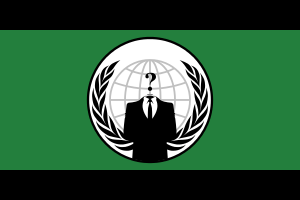 In early April, hacker group Anonymous, the so-called “internet-vigilante/digilante” group that has launched several international hacking campaigns against governments and organizations, hacked several hundred Israeli websites and a number of twitter accounts as a part of a campaign called: #OPIsrael in protest against Operation Pillar of Defense in Gaza. Their goal? To erase Israel from cyberspace. In effect, no harm was done to anyone in “real life.” Even so, it made for an intriguing back- and- forth twitter war between Anonymous and Israeli officials about exactly how much damage was actually done to Israel’s cyber identity. Weeks later, the same group launched a campaign against North Korean leader Kim Jong Un, defacing social media accounts and North Korean websites. They also propogated an image of Kim Jong Un as a pig, all over the internet. As of April 15, the group still has control over several Pyongyang Twitter accounts. Now there is much to be said for this particular type of cyber-attack. Aside from Anonymous’ previous governmental website hacks, which border on a national security issue, these are policy protests that make a statement about the level of influence cyberspace can have, on, say, something as large and influential as a country. The threat of erasing Israel from Cyberspace caused more than just server inconveniences. These hackers are making their voices heard by typing away on a keyboard. A sign of the times? Or a cautionary tale for governments in the future?